Four Seasons Hotels and Resorts, the world’s leading luxury hospitality company, and the Mabrouk Group, Tunisia’s preeminent investment group, will be introducing a new luxury experience to Tunisia with the opening of Four Seasons Hotel Tunis in late 2017. Perched along the hillside of the exclusive Gammarth neighbourhood, Four Seasons Hotel Tunis will offer unrivalled views of the coast, combining Arabic-inspired architecture and Mediterranean influences to create a hotel experience unlike anything else in the city. 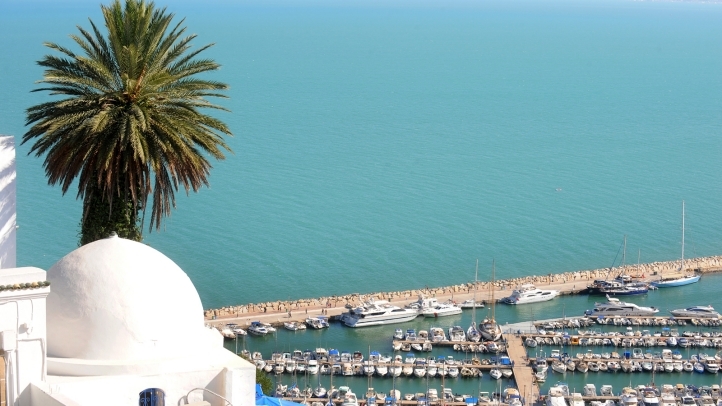 Set along 500 metres (1,600 feet) of pristine beachfront, the 200-room Four Seasons Hotel Tunis is conveniently located near Tunis’ central business district and major cultural attractions, including the picturesque town of Sidi Bou Said and the historic ruins of Carthage. Four Seasons Hotel Tunis will offer the largest accommodations in the city, many with outdoor terraces overlooking the Mediterranean. The Hotel will also feature an expansive Roman-inspired Spa, as well as a series of pools, gardens, and fountains that echo the design of the historic medina, creating a tranquil oasis within the heart of Gammarth. the new Four Seasons Hotel as soon it opens. Joining Tunis’ vibrant food and beverage scene, the Hotel will attract locals and travellers alike with a casual, coastal beach bistro and lounge, a Monaco-inspired brasserie, and an internationally-inspired market venue. The neighbouring marina also offers private charters to explore the Mediterranean as well as bars and restaurants along the coast with distinctive North African flair. “We are excited to extend our presence in North Africa, and particularly along this stretch of the Mediterranean coast, as we create more opportunities for our luxury guests to experience Four Seasons in the region,” said Smith. Four Seasons Hotel Tunis will be the first Four Seasons in Tunisia and the seventh in North Africa. Four Seasons currently manages two properties in Morocco and four in Egypt. Founded in 1948 by Ali Mabrouk, the Mabrouk Group was initially active in the food industry and real estate. Through the years, and particularly under the leadership of the three Mabrouk sons, the holding company realised a large diversification in the retail, automotive and finance services sectors. Mabrouk Group is today among the premier private holdings group in Tunisia, and bases its continuous development on international partnerships with strong partners who share its vision of modernity and innovation.